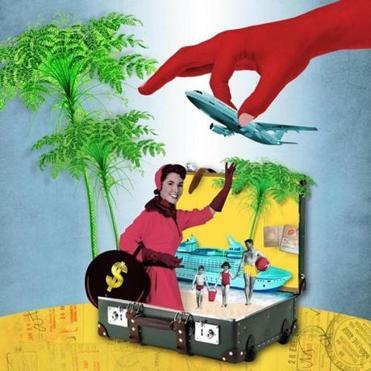 According to recent surveys, the number of travelers using a travel agent is on the rise. No wonder: In a time of information overload and complexity, travel advisors can save you time, money, and aggravation, and provide first-hand insight into destinations around the world. But how do you find an advisor who will best manage your valuable vacation time? Here are five tips from the experts. You should ask about overall travel budgets, specific service fees, and references. And, “A good agent will provide background and resource information and suggest books to read to enhance your itinerary,” says Richter. First-hand, in-depth knowledge of a location is one of the key reasons to use an agent. (The average ASTA travel agent has been to more than 65 countries.) And agents who are part of a larger association, like ASTA, Travel Leaders (www.travelleaders.com), and Virtuoso (www.virtuoso.com) have a worldwide network of peers that they can tap into. If they don’t know the best place to scuba dive in Bali or where you can find the best pintxo bar in San Sebastian, they likely know someone on the ground who does. Arranging a family reunion in Hawaii? Thinking of an African safari? Looking to plan the best honeymoon in the Caribbean? Consider an agent who specializes in your particular vacation and can provide in-depth, insider knowledge. Today, there are specialists in a slew of areas, from LGBT, multigenerational, senior, and solo travel to cruising, spa, and culinary vacations. Ask prospective agents how long they’ve been booking travel to your destination, how many times have they’ve been there, and if they can provide referrals from past customers.